Meet Iron Dawn, snowy forests of Mother Russia filled with hidden (and not really) military infrastructure, vast grass fields, a heavy network of underground facilities and a really beautiful Belaya-Pass-meets-Gorodok landscape. Heavy use of vehicles is required to cross vast areas of deep forests, frozen rivers, and lakes. Infantry will find itself fighting for control over multiple civilian and military installations. 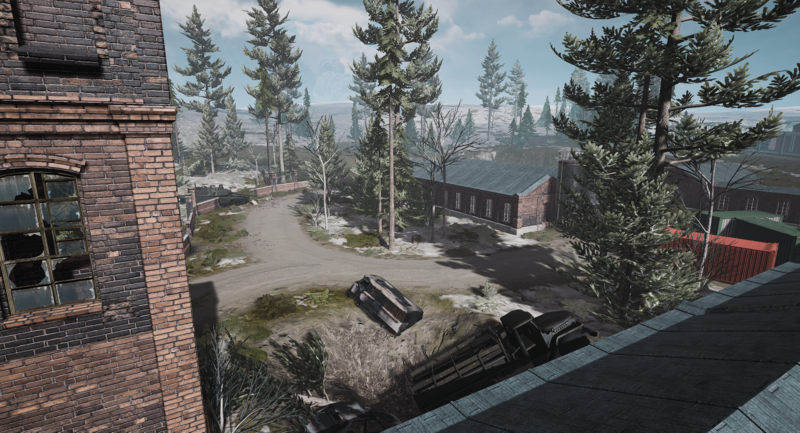 Any overview of the map? Like a large top-down picture showing the layout and stuff? Not really ready yet. I've only got 3 points of interest placed down, the big airfield base with the massive bunker and that town. Beautiful! You do an amazing job of really capturing the feel of a map so early on. Looking forward to seeing it progress. 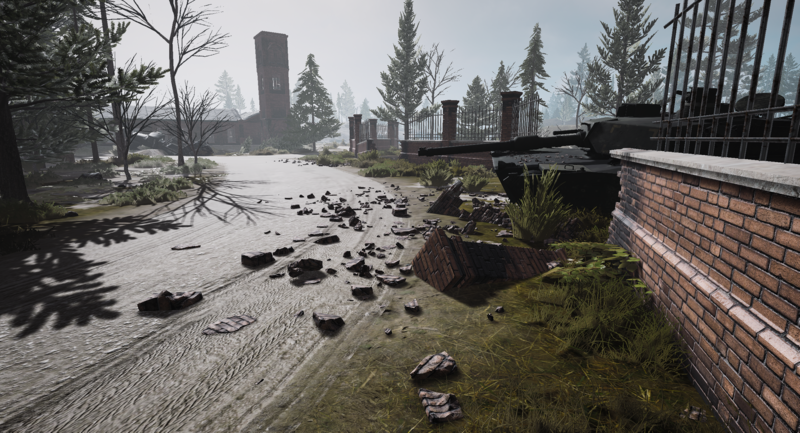 Currently working on a Radio Station military compound with heavy focus on cover and with an underground section of fortifications. Next up after it is gonna be a bunch of dirt roads across the vasts and forests surrounding the area, as well as a river probably cutting one of the entrances into the area with a big bridge. Maybe in V13 it'll be better. The V13 SDK might help with it. Actually I assume it will get much much better. AFAIK, they changed the way culling works, as I noticed smooth performance in intensive scenes on the testt while on the ground level.